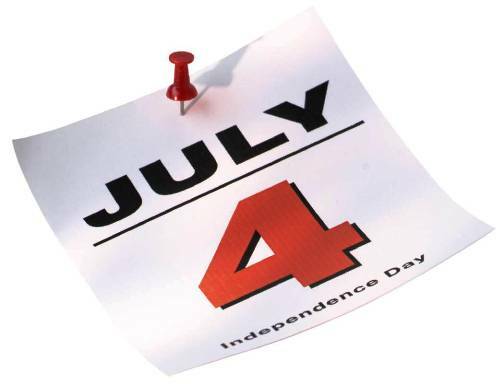 Looking for some affordable Independence Day fun in Calaveras County? On Saturday June 25th enjoy Fireworks at New Hogan Lake, located at 2713 Hogan Dam Road, Valley Springs, CA. Bring some snacks, drinks, your lawn chairs, and have a great time! Meetup begins at 7:00p.m., followed by the awesome fireworks show at 9:00p.m. Get your Fourth of July weekend good times rolling on Saturday, July 2nd with the Greater Arnold Business Association’s annual Independence Day Parade on Highway 4, beginning at 10:00a.m. The “Celebrate Freedom” themed parade will begin on the east end of Arnold and wind its way through town. Also in Arnold, The Sierra Nevada Arts and Crafts Festival located near 961 Highway 4 welcomes you both Saturday and Sunday from 10:00am to 5:00pm. Enjoy a variety of crafts, artists, and street performers, with live music from the Stardust Cowboys. Food and beverages will be available for purchase from the Ebbetts Pass Firefighters Association. For more information, call (925) 372-8961. Ironstone Amphitheatre will kick off their Fourth of July at Ironstone celebration at 6:30p.m. on Saturday. The whole family will have a blast going from bounce house to bounce house, with a little climbing wall fun in between. Enjoy great food and wine, with live music from Calaveras County’s own Plan B, and Blues Box Bayou Band. The night culminates in a stellar fireworks show over the vineyards beginning at dusk. Tickets are available at the gate, at a price of $10 for adults and $5 for children ages 6 to 12; those under 5-year-old are free. Food and beverages will be available for purchase within the venue; no outside food or drink is allowed. For more information, call (209) 728-1251 or visit www.ironstonevineyards.com. On Monday, July 4th, the annual Fourth of July celebration in Mokelumne Hill begins with a pancake breakfast inside the town hall on Main Street served by the Veterans District from 7:00a.m. to 11:00a.m. ; tickets cost $5. After the breakfast comes the parade at 11:00a.m. starting at the town hall steps and continuing down Main Street. The parade will be followed by food and games near Shutter Tree Park, including the beloved traditional tug-of-war game on the main drag between the firefighters from Mokelumne Hill and San Andreas fire agencies. After the friendly battle comes live music in the street at 1:30p.m. from Alias. The evening of the 4th concludes with the Calaveras Community Band performing a series of patriotic tunes in Turner Park on Treat Avenue at 6:30p.m. Picnics are welcome and encouraged! Whatever you do, we at Mullins Farms hope you have a safe and happy holiday weekend!! This entry was posted on Thursday, June 30th, 2011 at 10:49 PM	and is filed under Nearby Attractions. Both comments and pings are currently closed.